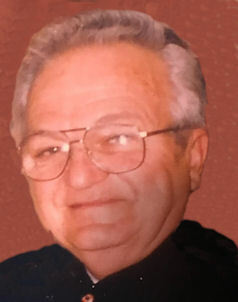 Richard P. Giran, 86, of Lorain, died Friday November 23, 2018 at Mercy Regional Medical Center in Lorain after a lengthy illness. He was born August 3, 1932 in Lorain and had been a lifelong Lorain area resident. Rich graduated from Lorain High School with the 1950 B class and then served in the US Air Force as a military policeman during the Korean War. He was awarded the National Defense Service Medal and the Good Conduct Medal. Rich was a painter by trade and worked for Molnar Painting. Later, he worked as a custodian at Amherst High School. In his youth, Rich was a softball pitcher and played basketball. He enjoyed fishing, hunting, bowling and playing pool. He was a member of the former St. Ladislaus Catholic Church in Lorain, member of Nativity of the Blessed Virgin Mary Catholic Church in Lorain, VFW Post #451 in Lorain and a past member of the Erie Game & Hunt Club. Rich was proud of his Hungarian heritage and really enjoyed spending time with his daughter. He is survived by his daughter Laura (Michael) Kulas of Amherst, sister Audrey (Frank) Higgins of Lorain and many nieces and nephews. He was preceded in death by his wife Dolores M. Giran (nee Csubak) in 2002, parents Dan Giran in 1991 and Anna Giran (nee Hanko) in 1992 and brother David Giran in 1990. The family will receive friends Tuesday November 27th from 5:00-8:00 pm at the Gluvna-Shimo-Hromada Funeral Chapel, 3224 Broadway Ave, Lorain. Additional viewing will be on Wednesday November 28th from 10:30 am until the mass of Christian Burial at 11:00 am at Nativity of the Blessed Virgin Mary Catholic Church, 1454 Lexington Ave, Lorain. The Rev. Robert J. Glepko, pastor, will officiate. Burial will follow at Calvary Cemetery in Lorain where AMVETS Post #32 of Elyria will conduct military honors.